Amy Page DeBlasio at the finale of StyleWeek Night 3. Photos by Myke Yeager photography. The final evening of StyleWeek Season 16 packed six runway shows into one night at Rhode Island Convention Center. 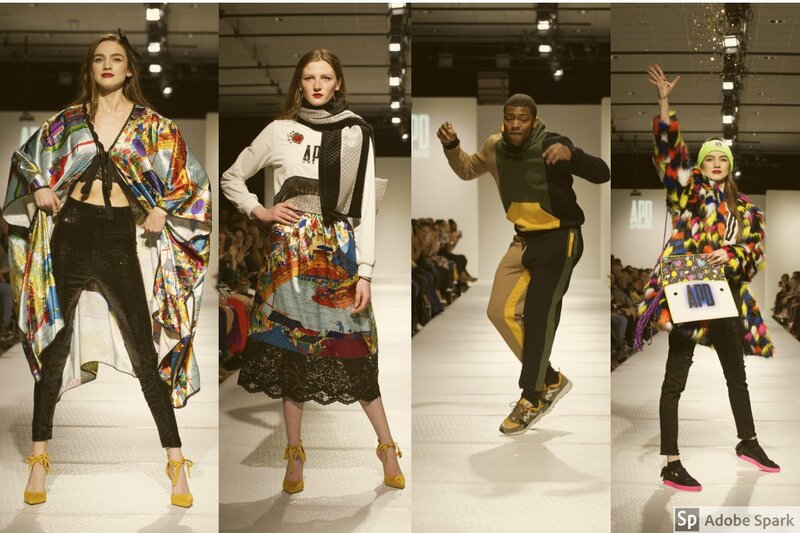 Take a look at some of the innovative designs created by Boanerge Nazario, Tallulah and Poppy, Mikayla Frick, Clothes Horse Clothing, Delayne Dixon and Amy Page DeBlasio. Some of the designers had fun on the runway, sending dancing models down the catwalk and tossing glitter into the crowd. One designer even ended her show by taking shots with the models. It was refreshing to see a little creativity when it came to showcasing the collections. 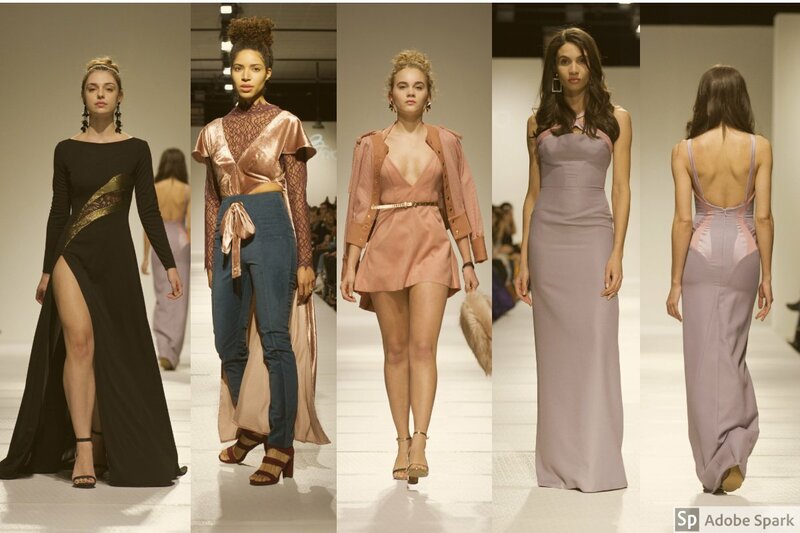 The Puerto Rican-born designer, Boanerge Nazario, sent casual formal wear down the runway, using fabrics like satin, lace and nylon to create body-hugging looks with expert detailing. Floor-skimming gowns involved high slits up the thigh, while another lavender number revealed mauve panels of color on the back to accentuate a woman’s assets. Four looks by Nazario. Photos by Myke Yeager photography. Tallulah and Poppy’s Meghan Doyle showcased shiny brocade short dresses and classic separates in sateen fabrics. The designs ranged from a neutral palette to pops of color like hot pink and orange, plus exquisite embroidered jackets in bright, boho-striped patterns. Four looks by Tallulah and Poppy. Photos by Myke Yeager photography. 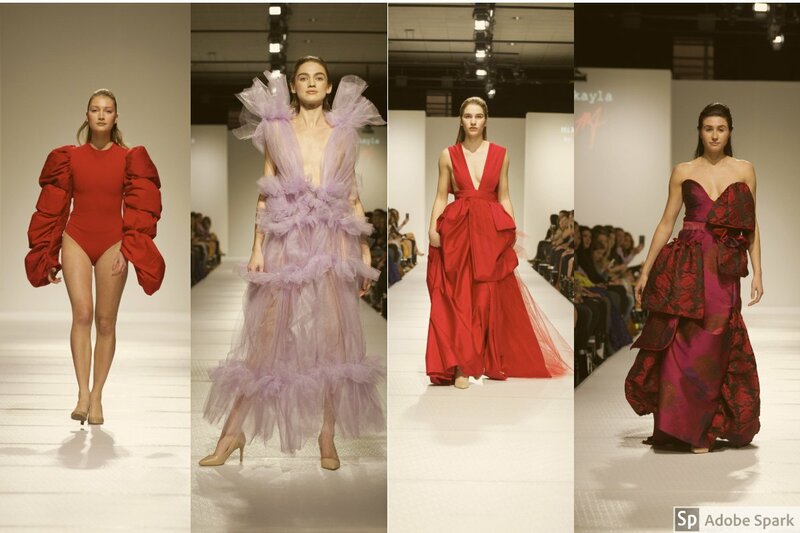 Mikayla Frick’s collection featured body suits and gowns in bold red, mustard yellow, cream and lavender tulle, plus a denim pantsuit. Frick created a red, puffy-sleeved bodysuit, and another mustard-yellow one paired with a white, feathered jacket worthy of Beyonce. The gowns featured plunging and sweetheart necklines with layered skirts and bows in interesting fabrics. The lavender number looks like a tutu turned into a full-body dress. Four looks by Mikayla Frick. Clothes Horse Clothing relies on ethical and environmentally conscious construction of garments, meaning all materials are vegan and created by the designer locally in her studio. 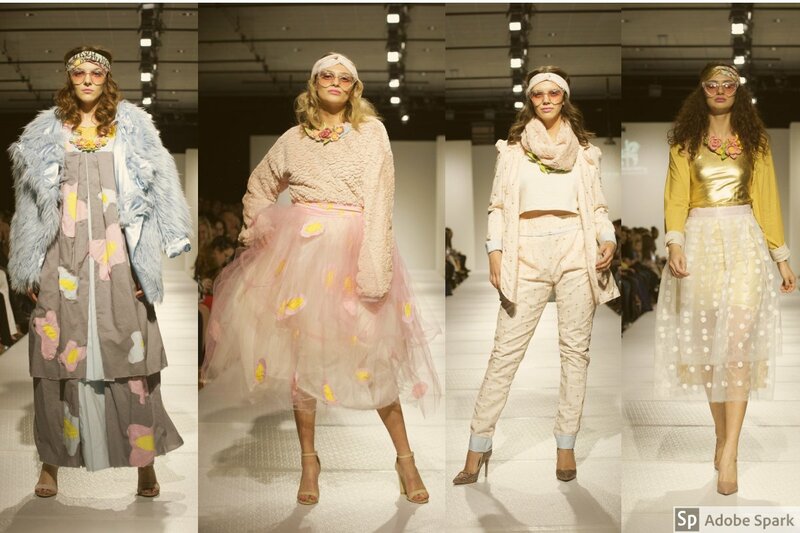 Clothes Horse always incorporates a hippy chick vibe with repurposed materials, and this show merged modern colors of powder blue, blush pink, lemon yellow and metallic gold into her 1970s-inspired collection. Delayne Dixon had some fun with her show by turning it into a rock and roll runway. A model pivoted down the lane to show the movement of an asymmetrical full black skirt, and others weren’t afraid to rock out while they walked. The collection featured black, metallics and deep blues in strappy, cage-like silhouettes, and peekaboo cutouts appeared in tops and skirts, some with sheer material incorporated into layers. The designer ended her show by taking shots with the models, showing that the catwalk doesn’t always have to be monotone; it’s okay to bring the party. if Delayne Dixon brought the rock and roll, APD turnt it up. 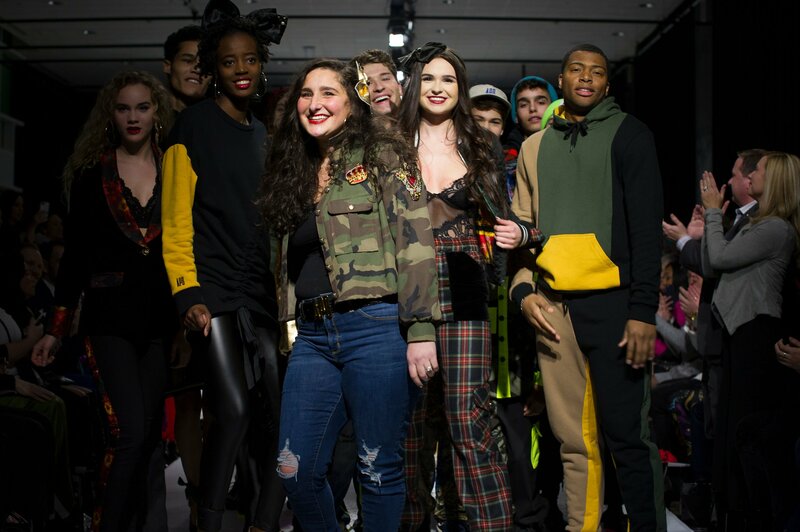 The look and feel of the Providence native’s runway show featured a hip-hop style mingling with fun formal wear by mixing different patterns, textures and fabrics. The designer married her line with a Gerber Daisy print which was incorporated into dresses, a jacket and a tux, and another Japanese satin print that appeared on a jacket, robe, blouse and skirt. She also showcased casual hoodies and jackets for a more comfortable style for her dancing model, plus a colorful furry jacket, worn by a model who threw glitter into the audience (because everyone should have a little glitter in their purse!). Even the kids got in on the show, strutting their stuff in camouflage and fluorescent yellow looks for the mini fashionistas. Amy Page DeBlasio. Photos by Myke Yeager photography.